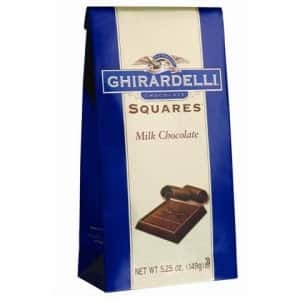 According to their facebook, the first 50,000 to nominate a friend and the first 50,000 to accept their own nomination will get a free bag of Ghirardelli square chocolates. I want some free stuff please. I TRIED TO REGISTER TO WIN AND THE PAGE KEPT ASKING ME TO VERIFY MY EMAIL ADDRESS AND I INSERTED IT THE SAME EVERY TIME…THIS IS VERY UPSETTING TO ME. Chocolate? Please for me, a teacher headed back into stress-city! They must have the 50.000 as the ‘Nominate a Friend’ won’t go to the friend e-mail so you can post it. Hurry for your free bag. Just now worked for me. Thanks! It’s a browser problem. Didn’t work in IE, but Google Chrome loaded. Change your browser. It worked for me the first time I tried. I nominated a friend for her generosity of spirit. I love this candy! great tasting! I would like a free sample of Ghiardelli chocolates please! yES GOOGLE CHROME DID WORK FOR ME. THANK YOU! Such a bummer when you dont have Facebook,LOL.Good luck to the rest of you guys that do!